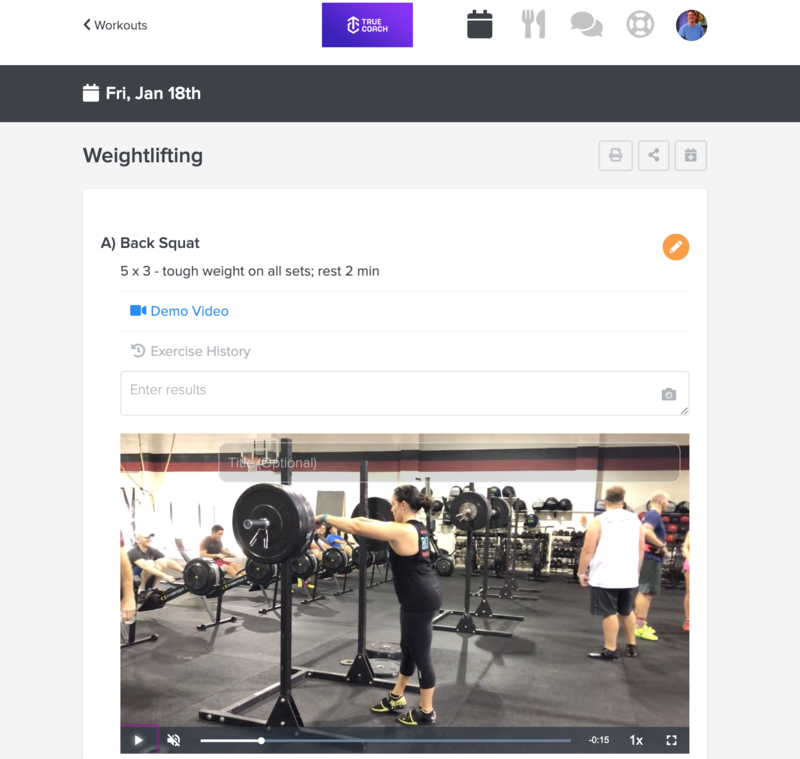 You can upload videos to workouts from both a web browser AND the iOS app. 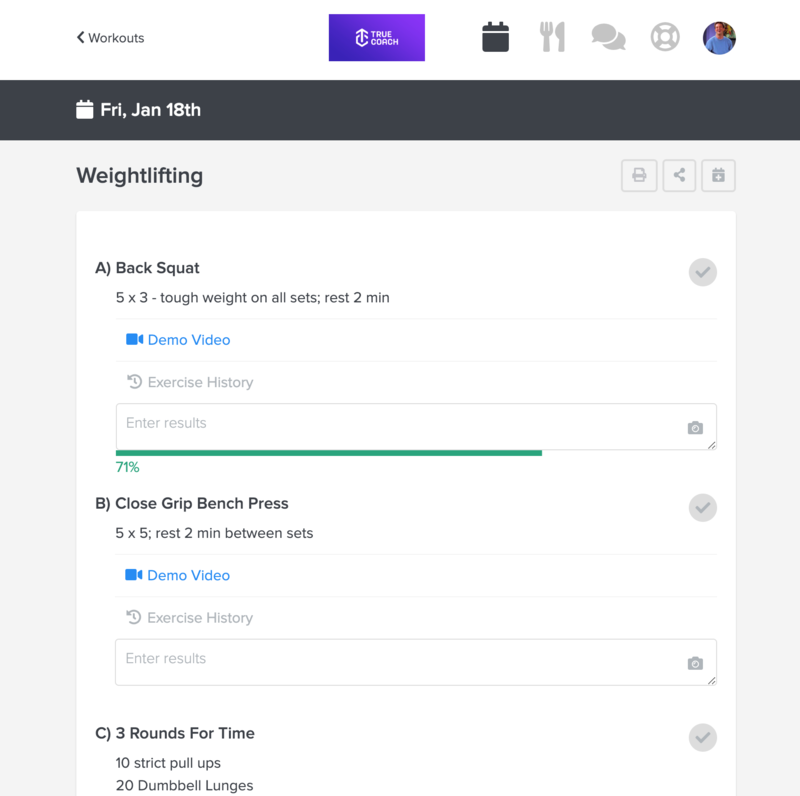 Click on the workout where you would like to upload a video. Then, click on the gray camera icon to select your video. The example below will apply specifically to Exercise A "Back Squat". 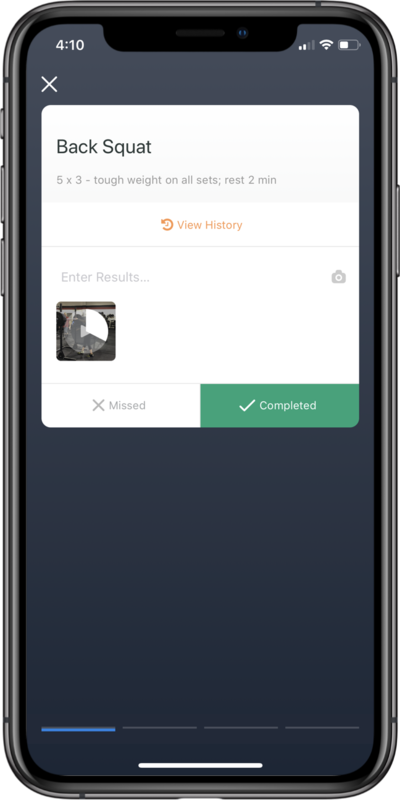 Once you've selected your video, it will begin uploading. Then, the video will appear. If you accidentally uploaded the wrong video, no worries, just click and hold to delete. To add a video as a comment, click the gray camera icon in the comments section and upload and save! 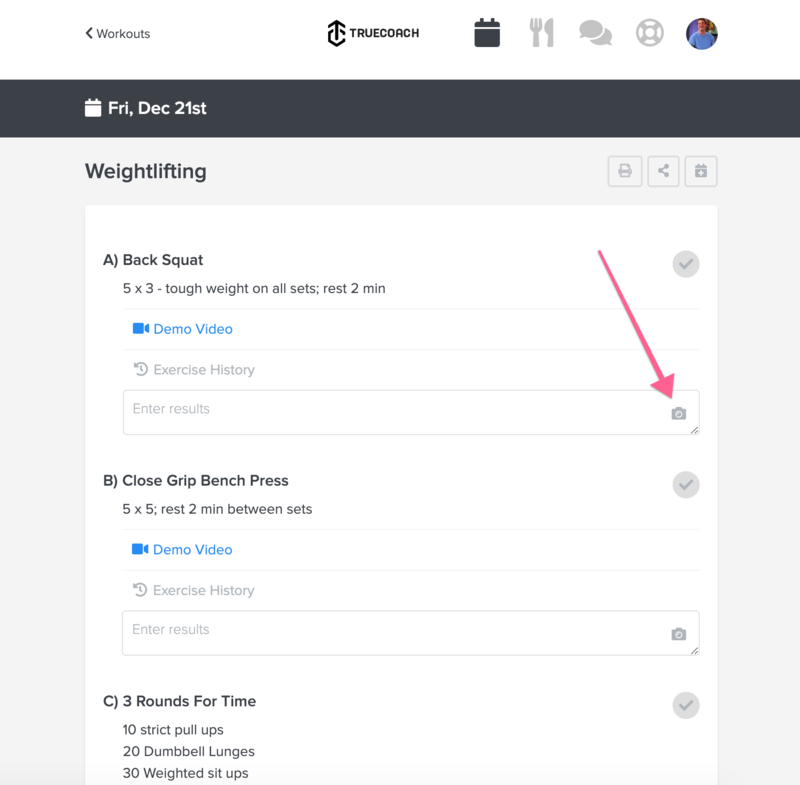 In the app, select the workout you want. 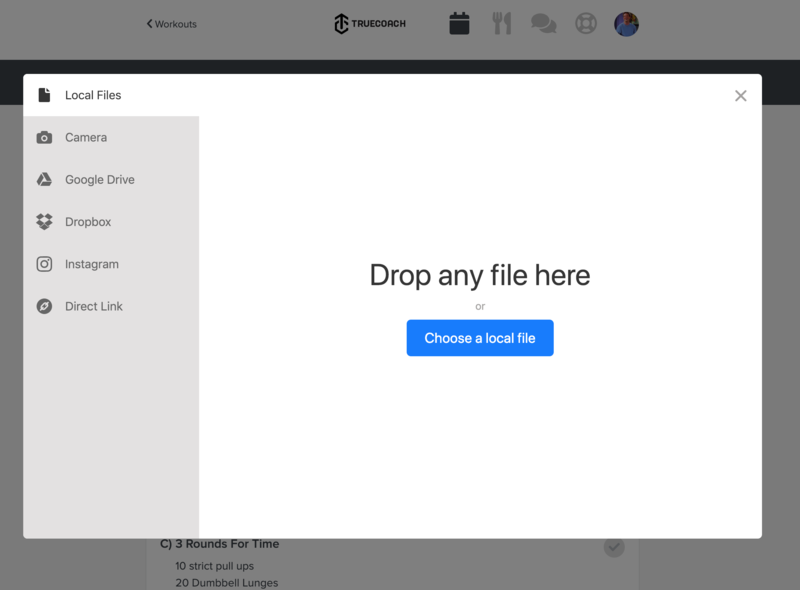 Click "Begin"/"Update" in the top right corner. 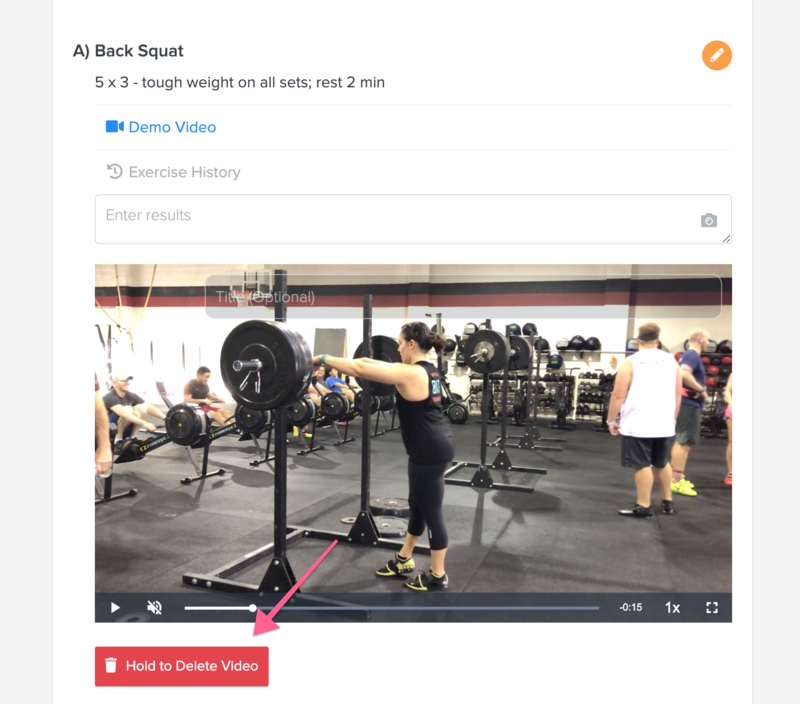 Swipe over to the specific exercise of where you want to upload the video. Then click the gray camera icon. From there, select the video to upload. Once it is complete, it will show in the workout. You can click the gray camera icon and follow the same steps to upload a video to the comments section as well. If you accidentally uploaded the wrong video, no worries, just click and hold until the X appears to delete.